Partido Manggagawa (PM): Wage increase now! A supervening event from the sharp inflationary impact of the TRAIN law is enough reason for the regional wage boards to conduct summary proceedings on the necessity of wage hikes even in the absence of wage petitions within their respective regions. Evidently, the effect of TRAIN law on inflation is fast and furious nationwide hence, the regional wage boards need not wait a year to lapse from their last issued wage orders before they can conduct public hearings on wage petitions. In fact, they can even act moto propio on this issue on the basis of a supervening event like this one. Workers, especially the majority of wage earners who gained nothing from TRAIN yet ending up devastatingly hit by inflation, clearly need a wage hike now. On the other hand, we would like to point out that a wage hike in the immediate would merely mean recovery of the lost purchasing power of wages due to inflation. In the long term, this action will neither rectify the structural defects in the country’s wage fixing mechanism that keep wages low nor satisfy the worker’s right to a living wage mandated by the Constitution. 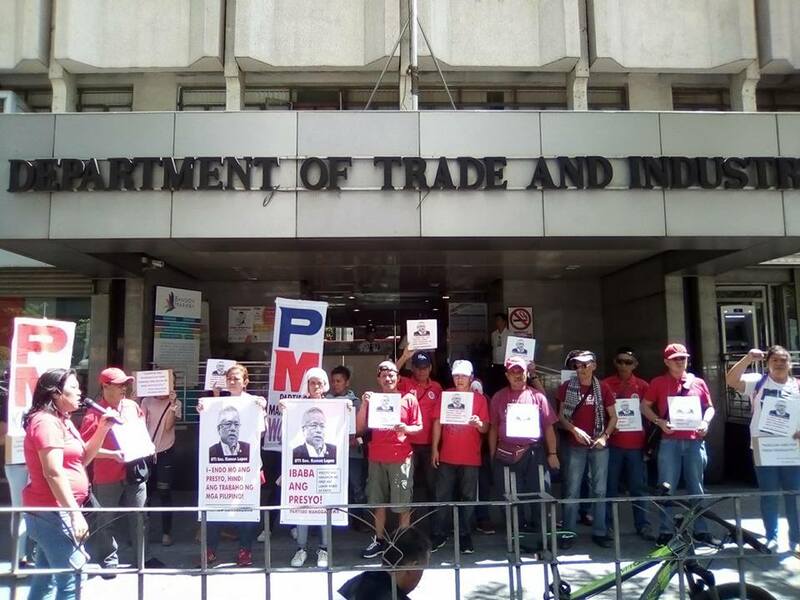 In other words, while a wage hike is an immediate concern for workers now due to the effects of TRAIN, reforming the existing wage policy has long been a necessity demanded by labor under different regimes, including the Duterte administration. As a matter of fact, aside from his unfulfilled promise to make endo history, President Duterte has yet to abolish the ‘provincial rates system’ in favor of a national minimum wage standard that he promised during the presidential campaign and previous dialogues with organized labor. Unfortunately for now, the President only has the TRAIN law to drain our pockets, with the poor shouldering the pay-pay-pay (PPP) part of the build-build-build (BBB) program of the administration. Mr. President, either you stop the TRAIN or let the poor bleed some more.